Discussion How to put spaces in-between your links on your navigation bar? 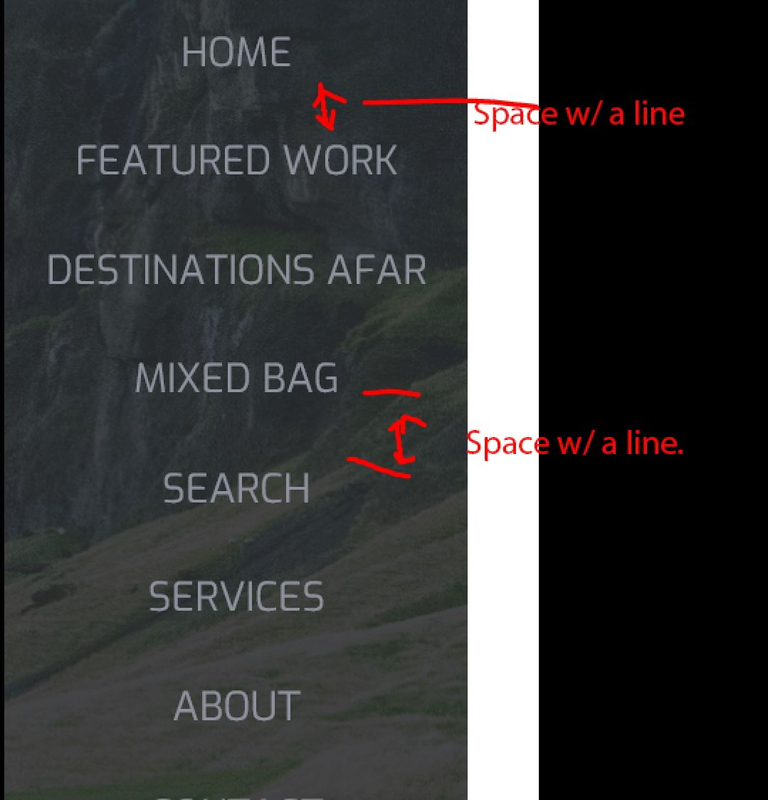 How to put spaces in-between your links on your navigation bar? 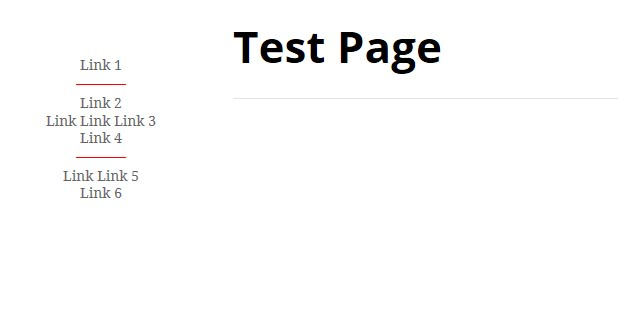 Hello all - For my site-wide navigation bar, I have a few links visible on every page. These links are all grouped together in one bunch, per normal. What I'd like to do is to add a space in-between two of these links. For instance, Home, Pics (space/line), Blog, About, (space/line) contact. I don't want a line under every link. See below screenshot which is easier to show perhaps. I opened up the content block for my nav bar, but there isn't anyway for CSS customization which I'm assuming I would need to add in for this to happen. Thanks! The (1) and (4) go in sequence on your menu (1- Home, 4 - Mixed Bag). Thanks Mike! Is there a way to narrow the lines, so it doesn't get close to the margins of the menu bar? Not without changing your standard navigation to a HTML/CSS navigation. Keep in mind that mobiles won't work like the standard navigation. Thanks Mike. For the above, is the only way to use both HTML and CSS? If so, it will be a lot more work than might be worth. I was just hoping for a CSS value to add. No other way that I'm aware.